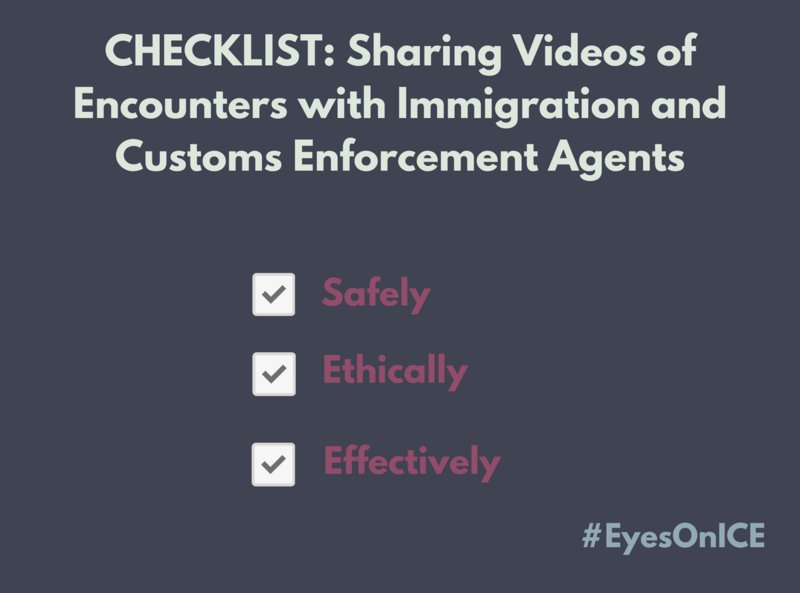 Filming encounters with Immigration and Customs Officials (ICE) can expose human rights abuses, deter violence, substantiate reports and serve as evidence. But if the footage isn’t captured safely and ethically, it can put people at risk. This tip sheet provides basic Know Your Rights guidance and tips on minimizing risk and capturing valuable documentation.